Juventus and Napoli are set to go head-to-head in the race to sign Belgian teen sensation Youri Tielemans, report Calciomercato. 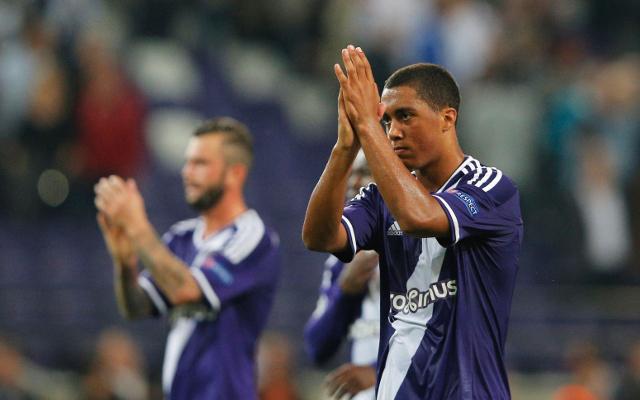 Tielemans is widely considered one of the brightest young talents in world football. He broke into the Anderlecht starting side as a 16-year-old, and became the youngest ever Belgian to make an appearance in the Champions League after starting against Olympiacos in 2013. He has continued to play for the Belgian giants, and has subsequently developed into a far more accomplished player – the stellar season he is having is testament to that. Tielemans has found the back of the net 17 times in all competitions so far this campaign, and his good form appears to be turning heads in Italy. Calciomercato report that both Juventus and Napoli are interested in securing Tielemans’ services. The Italian outlet believe that Anderlecht will demand a fee in the region of £21.7million if they are to part with their prize possession.